Time to quit these bad habits! We all wish for picture-perfect underarms, which is why we tend to self-educate when it comes to kilikili care. But after doing all the possible solutions to our biggest kilikili concerns, why do they still look and feel far from what we expect? It’s easy to forget that your skin needs some conditioning before undergoing a shave or wax. If you want to keep it smooth and fair, make it a point to exfoliate and cleanse with warm water (to open up your pores) before shaving or waxing. A common DIY remedy for whitening dark underarms is calamansi or lemon extract. While this might work for some people, its high acidity levels may do more harm than good for others, possibly resulting in burning, irritated skin. Constant tweezing can cause ingrown hair, especially when you pluck the strands way too soon. Experts say that armpit hair should be at least a quarter of an inch long before plucking to prevent damage to the follicles. This should be done every four weeks. Cleaning your razor after every use can prevent your underarms from darkening or being irritated. However, when you’re using just one razor for all of your shaving needs, no amount of cleaning can help out your kilikili. Our hair removal needs vary from one body part to another, so if you’re using the same razor for your underarms and your bikini area, then you’re in for a big problem. Go the extra mile when it comes to caring for your underarms. Start by switching your regular deo for one that whitens safely, like Rexona Advanced Whitening 2-in-1 Deodorant. It keeps your underarms fresh and looking bright every day, so you can have the sleeveless-ready armpits you’ve always wanted. 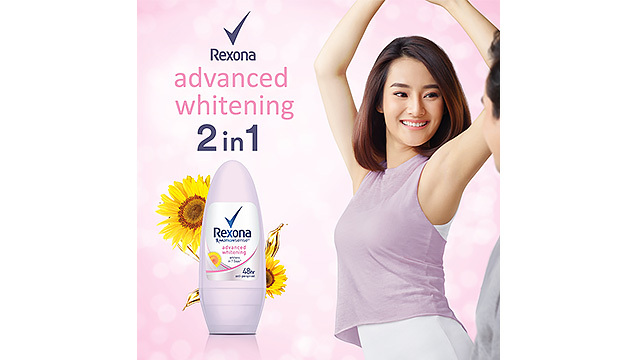 #SlayinSleeveless now with Rexona Advanced Whitening Deodorant! For more information, follow Rexona Philippines on Facebook. This article was created by Summit Storylabs in partnership with Rexona.